WICKHAM’S CAY I, Tortola, VI – The Commonwealth Observer Mission here for the June 8, 2015 elections will present its preliminary assessment of the polling day activities at a press conference on June 10, 2015 and return in two months to present its final report. 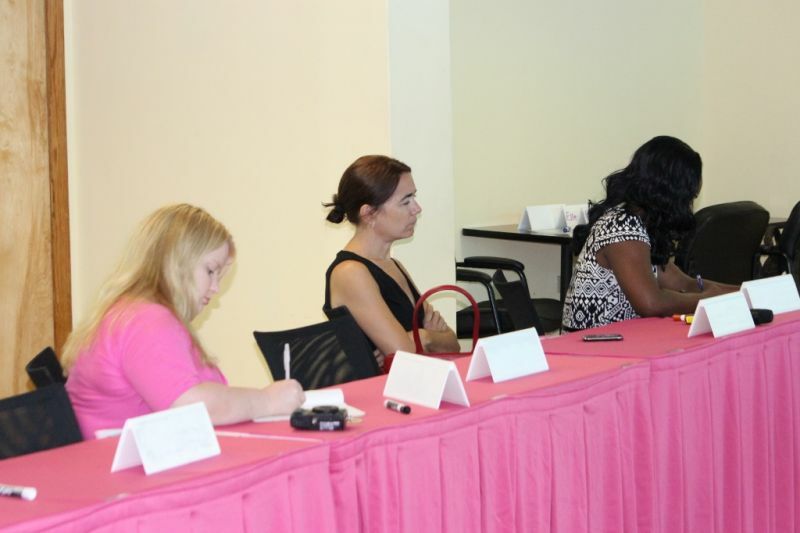 Head of the Mission Stephen C. Rodan, speaking at a press conference today June 1, 2015 at the Training Division’s conference room on Wickham's Cay I, made the disclosure to members of the media. He was accompanied by Rachael J. Atkins – Election Coordinator and Ellen N. Shustik – Elections Analyst. Rodan said the Mission will be guided by the Declaration of Principles for International Election Observers and Code of Conduct for International Election Observers, adopted by the international bodies involved in election observation at the United Nations in 2005. “The Mission will observe all aspects of the electoral processes accordance with international standards, including the Virgin Islands’ commitments under international law as well as domestic legislation,” he said. He noted that the Mission will gather information and then make an informed judgement. “We may raise questions with elections officials and may bring to their attention any irregularities if and when the need arises but this will not interfere in any way with the electoral process itself,” he said. He added that as observers they will strictly adhere to the relevant codes of conduct and will be autonomous, impartial and independent in their observation and judgement of the election. “The interest and focus of the Mission is only the electoral process and not on the political issues or the political outcome. In our final report the Mission may offer recommendations with the aim of improving future elections,” he said, adding that they are here to support democracy in the Virgin Islands. Rodan said that throughout their mission, the team will meet with elections officials, people representing political parties including the candidates themselves, civil society, the media and others involved in the election. “Our assessment will consider the entire electoral process including the legal framework, the election administration, the campaign, the media, polling and counting, the complaints and appeals. We will also consider gender equality and minority issues,” he said. The Mission in the closing stages of the campaign will be looking closely to the respect given to the fundamental freedoms of expression, assembly, association, movement and information. On Election Day they will be observing the process at polling stations, including the opening and closing procedures, the counting and tabulation of results and what happens in the immediate post elections period. Asked what the team has been doing since arriving on Saturday night, Rodan said that they have been discussing their work programme and have been on tours of the territory so as to familiarise themselves with some of the polling stations and other matters. He said they have already sat in at a few political meetings and are hoping to attend more of them in this the last week before the polls on Monday. Asked what has been observed since the Mission arrived in the territory on May 30, 2015, Atkins said that the party is not prepared to make any disclosures about what it has seen on the ground thus far since arriving. “As far as the Virgin Islands are concerned, we can’t comment on any potential issues that we see. We are coming with entirely open minds and we will brief you on Wednesday and until then there is nothing that we can tell you that we might come across,” said Rachael J. Atkins – Elections Coordinator for the Mission. Ellen N. Shustik – Elections Analyst for the Mission said the thing to remember is that every election is different, even in the same country. She noted that the issues that would have been highlighted during the last elections in 2011 may not be the same ones seen now. 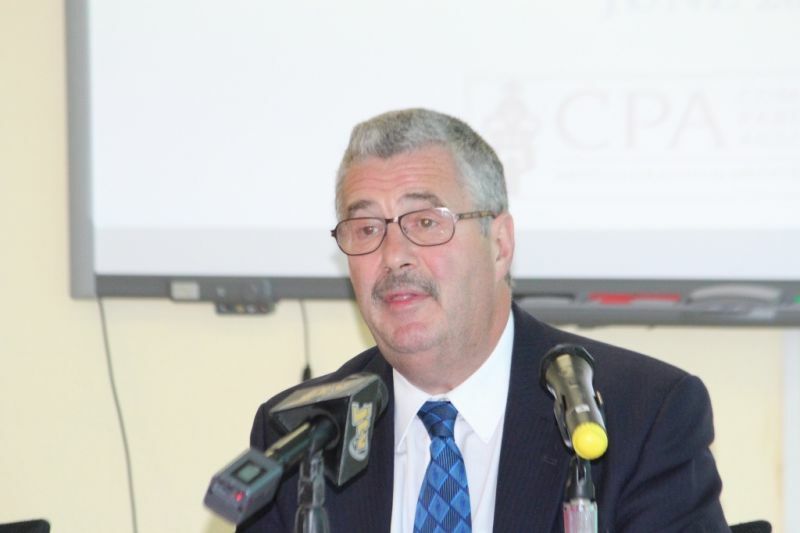 In response to whether there had been the implementation of the recommendation that would have been made following the November 2011 elections, Atkins said that the team will meet with the Supervisor of Elections Mrs Juliette Penn to determine whether those recommendations had been acted upon. One such recommendation was that there were more polling stations. “But the recommendations made last time are not necessarily what we are going to be considering as we go forward with this election because there might be different issues at play. So we will be making recommendations based on this observer mission,” said Shustik. 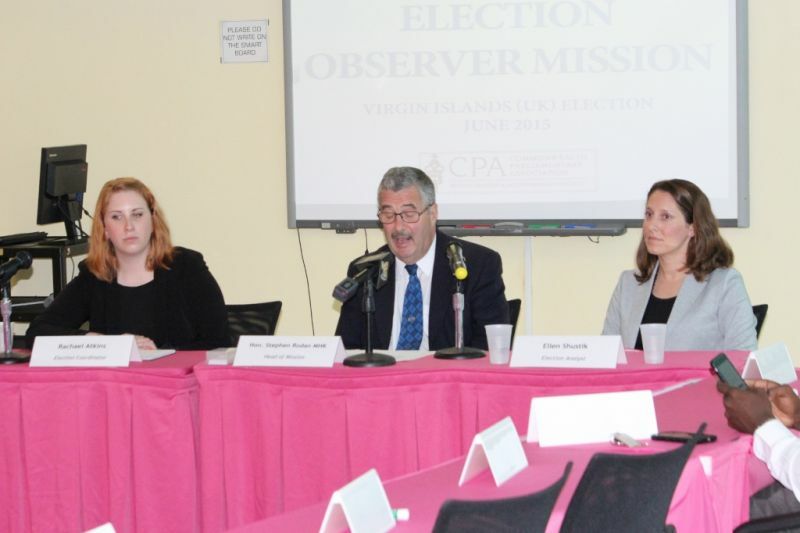 Chairman of the Virgin Islands Party (VIP) Honourable Julian Fraser RA had called for elections observers, saying that with the current political climate nothing could be left to chance. These people really jokey nine districts and about 15 poling stations and three officers just like last time. Keep you all eyes on 1,2,3, 4,5,7, and 9. It's only 3 of you and one of these districts is overseas. How will this work? They will be observing a beating come June 8th. In 2015, We are Still on the plantation !!! On the plantation could we vote? Could we use our passports to live easy in London and New York? Perhaps some of us should take our heads out of our a**es and thank the lord for how well we've taken our land into the future! The underlying message, B.V.I election process is crooked. Observers are required to come in and monitor in order to ensure fair elections. Now that says a lot!! !